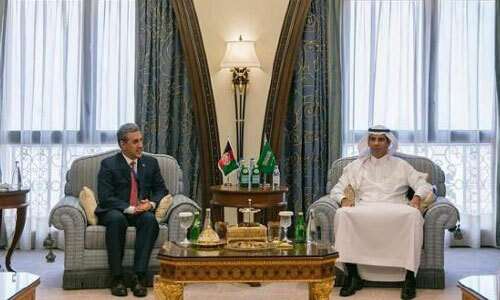 KABUL - Afghanistan transport minister and civil aviation head discussed increased cooperation with Saudi Arabia’s transport minister during a visit to the kingdom, a statement said on Thursday. The Civil Aviation Authority in a statement said transport minister Yama Yari and civil aviation authority head Dr. Mohammad Qasim Wafai visited Saudi Arabia to attend the Global Aviation Summit 2019. The summit was held on April 1-2 under the patronage of King Salman. Minister of Transport and Chairman of the General Authority of Civil Aviation (GACA) Nabil Al-Amoudi expressed his gratitude to the king for his support of the aviation sector. The Afghan officials besides attending the summit also met with Nabil Al-Amoudi and discussed with him important matters of mutual interest. The statement said the Afghanistan transport minister Yama Yari thanked the kingdom for its support with Afghanistan in various fields.